Along with the security systems that we provide, there are ways in which you, as a homeowner, can further improve your safety and protect your valuables. With a few simple changes, you can have peace of mind in knowing that your home security is better than ever before! The team at Wilson Alarm Systems is experienced and knowledgeable, so rest assured that your home is in safe hands. When you buy a new home, the experience is exciting but can be costly. 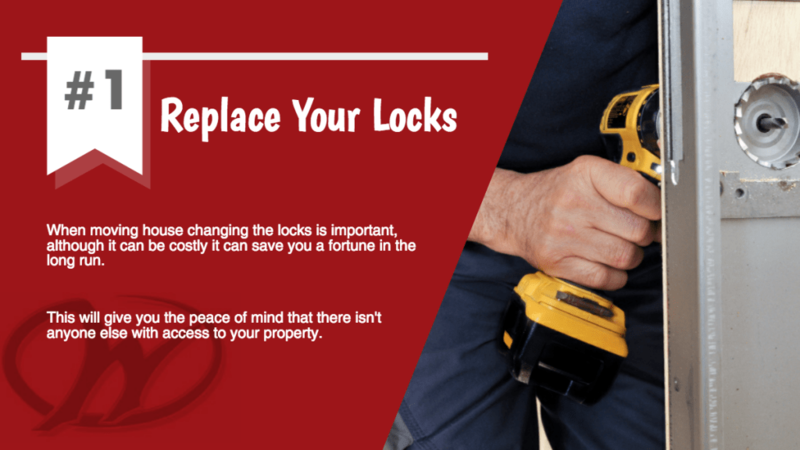 Although changing the locks may seem like an unnecessary luxury, it could save you a fortune in the long run. Not only this, but it will give you peace of mind that there isn’t someone else with access to your property that you are unaware of. Many people believe that dogs can deter burglars, but in fact, proclaiming that your house has four-legged friends can actually put you at higher risk. As a general rule, many houses with dogs won’t have a sensory alarm system because pets can set these off by moving around the property. 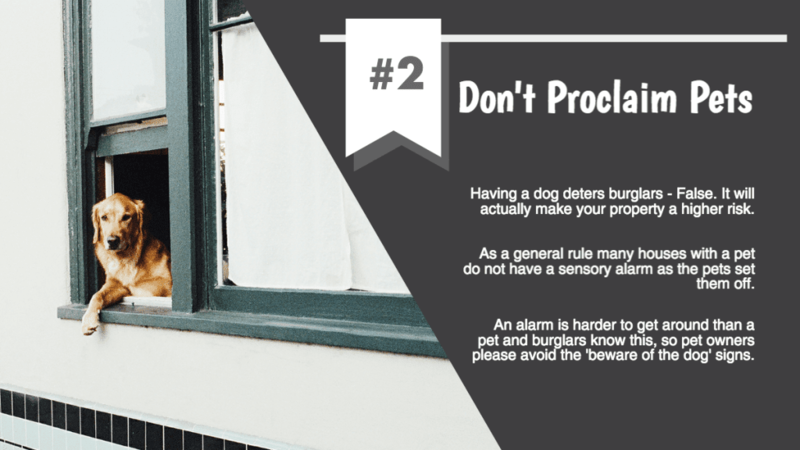 An alarm is a lot harder to get past than a sleepy dog, so if you’re a pet owner, avoid putting ‘beware of the dog’ signs on display. A common point of entry into a home is through the front door. How? By simply scooping up nearby keys with a hooked wire through the letterbox. 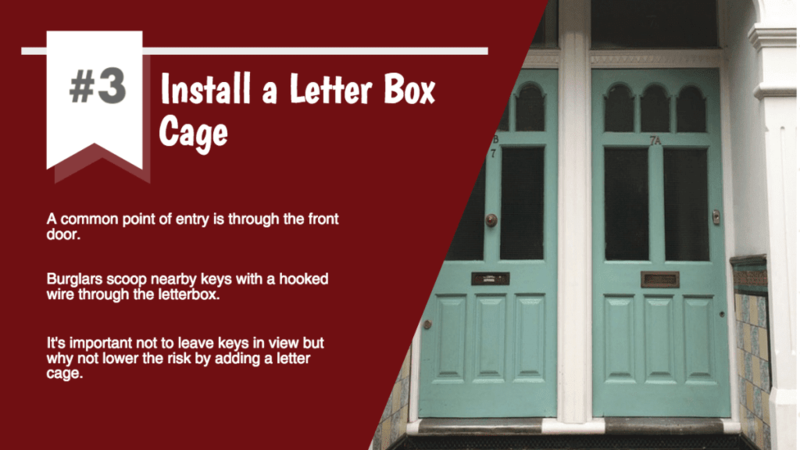 Of course it is important not to leave keys on display anyway, but to reduce the risk further, why not add a letterbox cage to your doors so that ‘fishing’ for useful objects is no longer an option for potential criminals. 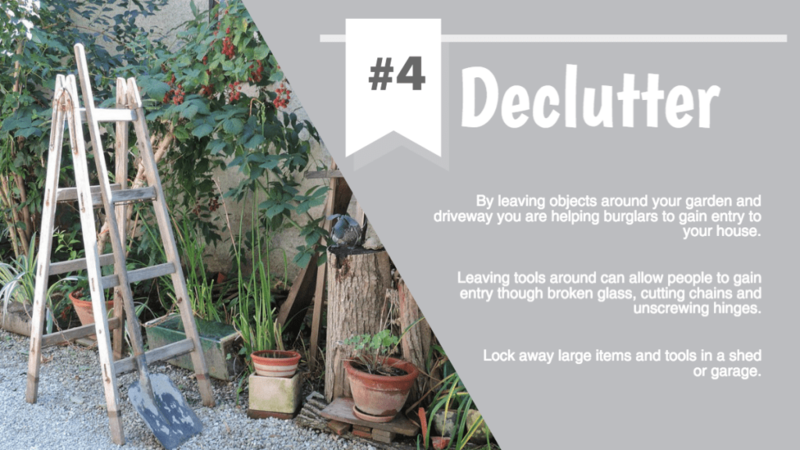 By leaving objects around your driveway and garden, you are essentially helping burglars gain entry to your home. For example, a ladder left on the lawn can be used to reach open windows, or an unlocked shed full of tools can give opportunity to gain entry by breaking glass, cutting chains or unscrewing hinges. To improve your home security, make sure that tools and large items are locked away securely in a shed or garage. 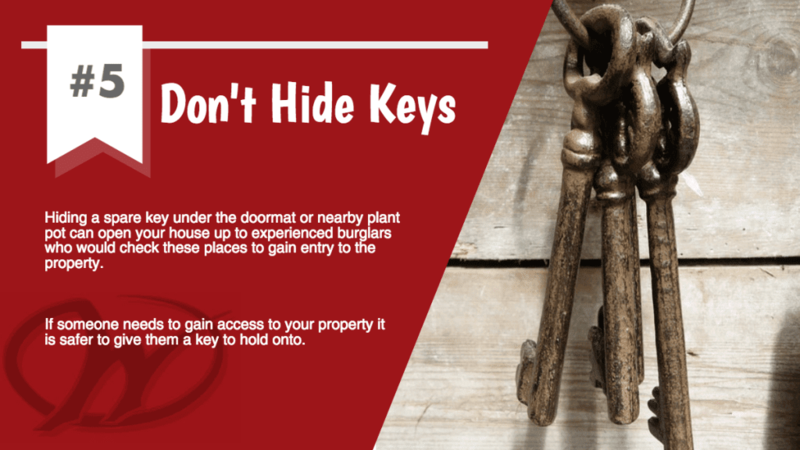 Hiding a spare key under a doormat or in a nearby plant pot may seem like an original idea to you, but to a burglar with years of experience it will be one of the first places to check. If someone you trust needs to gain access to your home, it is safer to give them a spare key that they can hold onto personally. If you would like more advice on home security, or would like to discuss a security installation then please call the Wilson Alarm Systems team on 0116 245 3030. We look forward to hearing from you!